After a long day or even week, there’s nothing better than unwinding with a relaxing movie night. 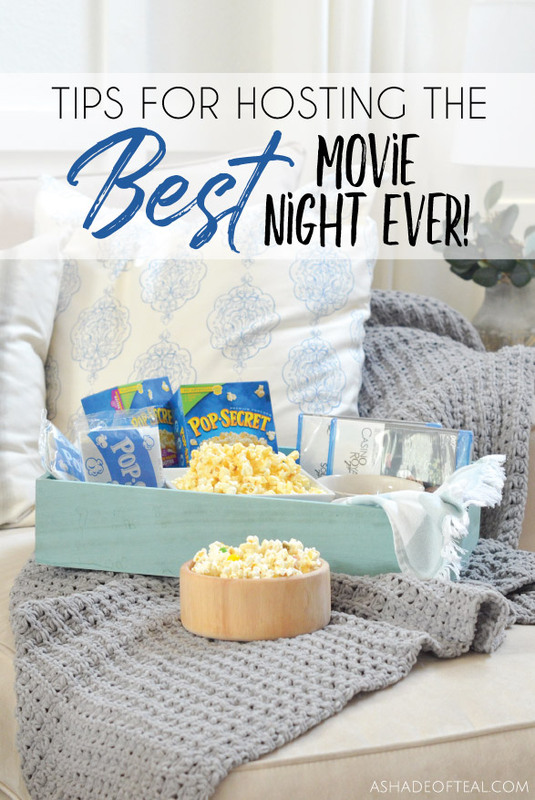 However, getting out to the theaters has become harder and harder for me these days, so I wanted to bring the movie theater to me by hosting the best movie night! 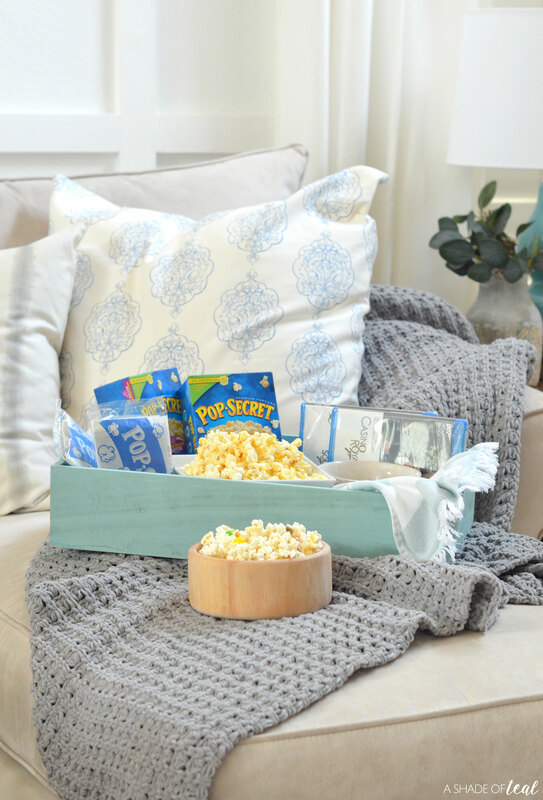 I’m no expert, but I’ve learned a couple of tips along the way on how to host an amazing movie night that friends and family will want to attend. 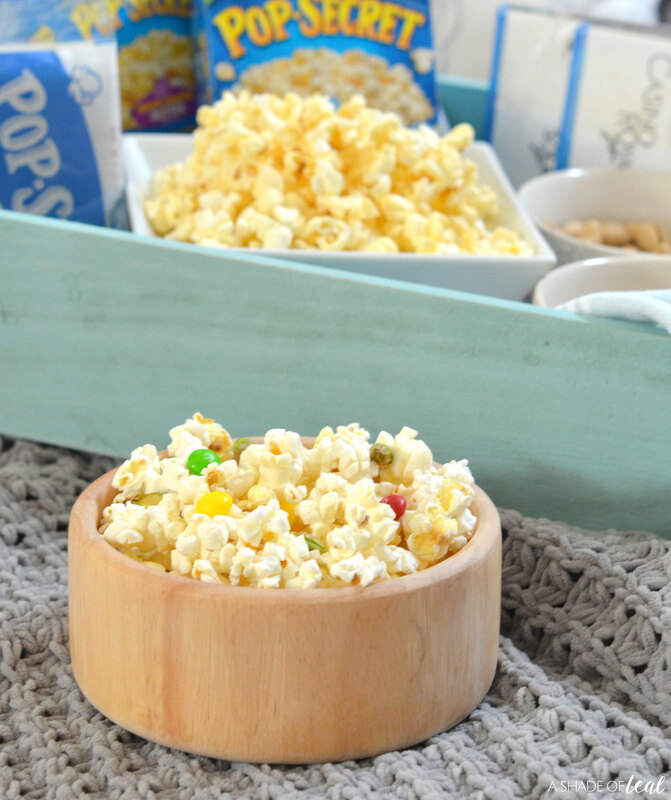 From making sure to serve my favorite POP SECRET® Movie Theater Butter popcorn, to picking the right movie, it all matters when hosting an epic movie night. 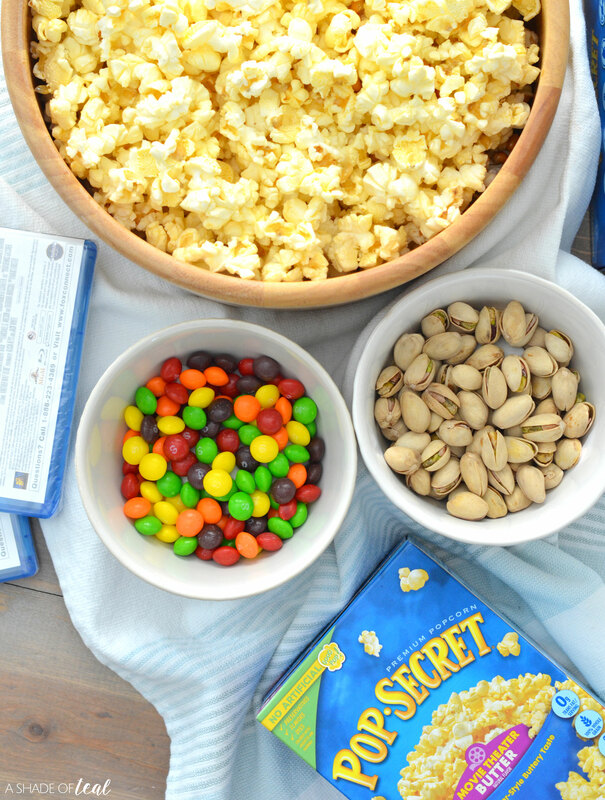 To get started here are my favorite tips for Hosting The Best Movie Night Ever! The movie will set the tone of the night, but more importantly you’ll want to think about your guests and what might best suit them. Just remember, everyone won’t like the same movie but narrow down a couple selections before hand and then have everyone vote. 2. Don’t forget the snacks! 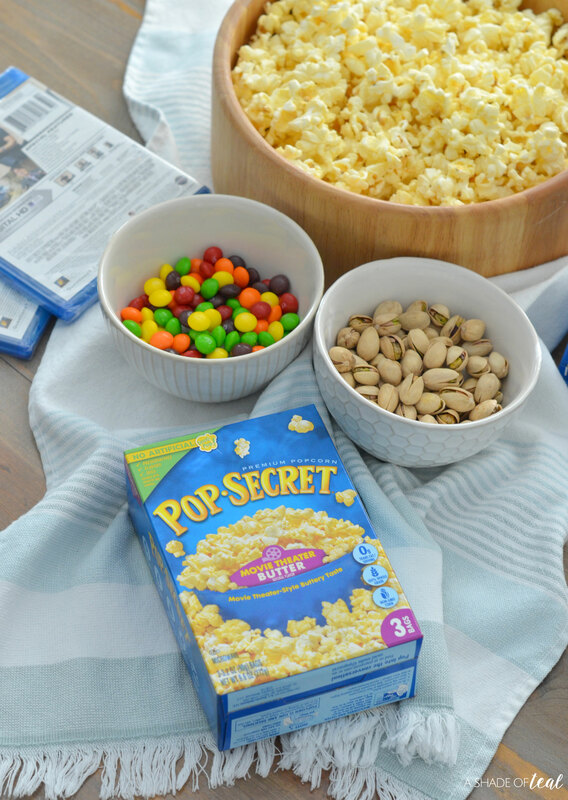 This is so huge with a movie night, in my house you can’t have a movie night without POP SECRET® popcorn! It just goes hand in hand! My favorite is their Movie Theater Butter popcorn and I love to serve it with either pistachios or nuts and of course a sprinkle of candy. 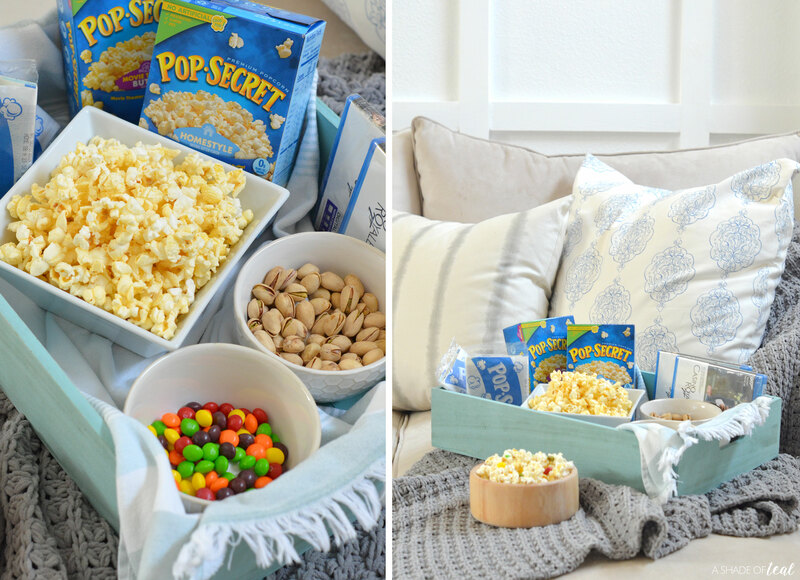 If you’re hosting a bunch of guests, then setting up a POP SECRET® popcorn bar is a great option. If you’re trying to bring the movie theater home, this is one area you can make even better than the theaters. Having ample, comfy seating is a must. If your couch isn’t big enough like mine, then think comfy floor cushions, lots of pillows, and even throw blankets for all. Okay, so I forget to do this from time to time, but make sure your surround sound is on and if you have a sound feature for “movie” then select that. It’s amazing how much better the movie sounds when you have it set to the correct settings. 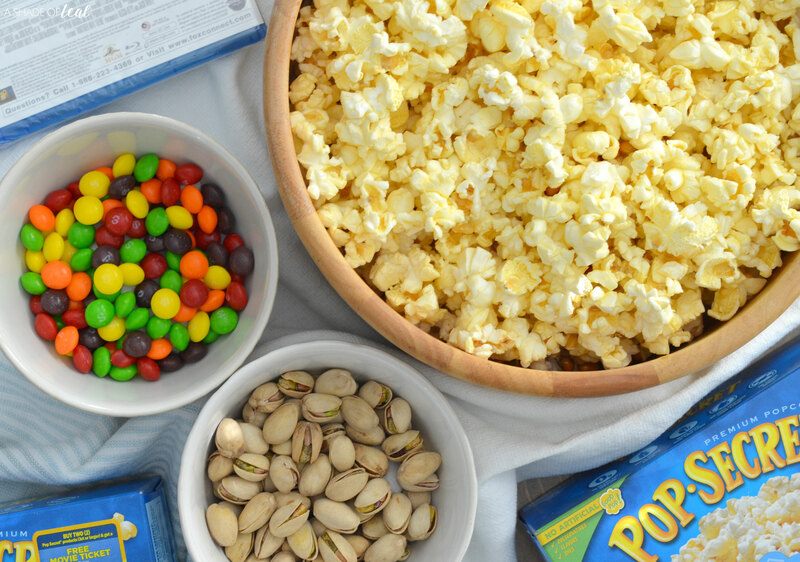 There you have it, these 4 simple tips with help you host the best movie night ever. 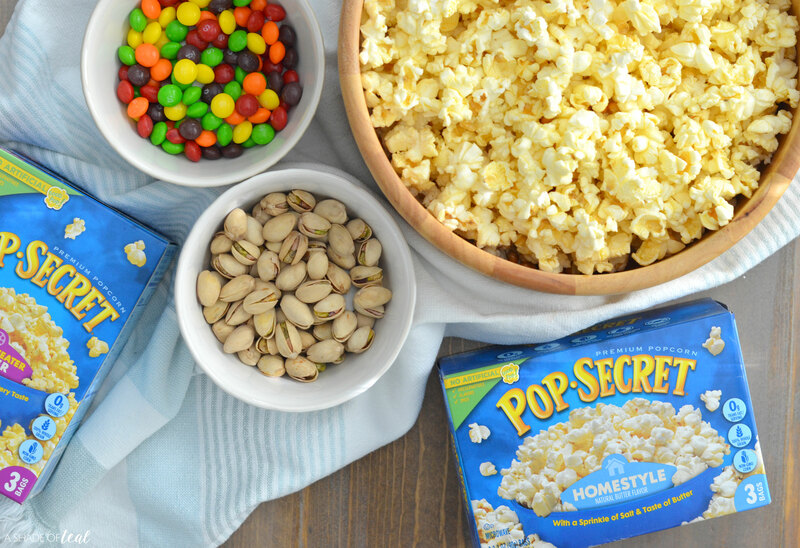 Don’t forget to grab POP SECRET® popcorn on Amazon today! This looks like the perfect movie night in!